The time has finally come to launch my new initiative; “Believing Healthy Kids”. This new section on my blog will be the place to get hints and tips on encouraging faith, at the moment particularly in young children, through exploration and healthy ideas. As a Mum of one I have found this first year and half difficult at times to find ways to introduce faith to my little one through fun activities that she can engage with. 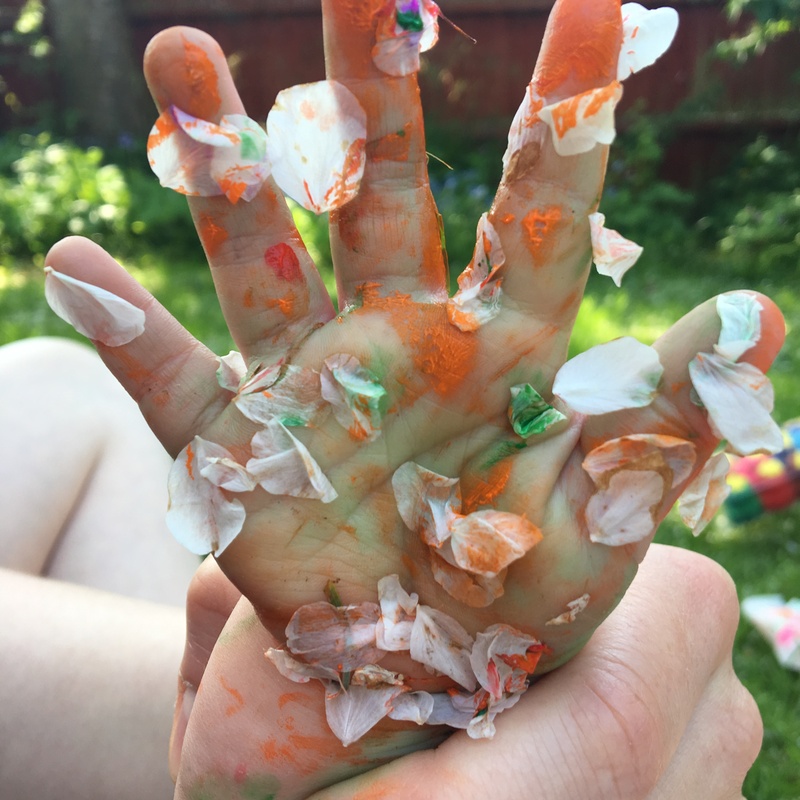 Too often I’ve found the activities aimed at older children, with little accessibility for little ones, often leading to frustration on both our sides. So how’s it going to work? Well we took one bible story for the week and immersed ourselves in different ways into the story throughout the week. Think Godly Play, if you have ever heard of it, prolonged over the week, using as many of the senses as possible. I’m hoping that this is adaptable to most parents and children as people begin to think about the Bible stories in new ways. For week one I chose Jonah and the Whale for the reason that mostly I had lots of ideas of how to go about this. Hopefully as this progresses I will tackle harder passages in the Bible. The first priority was to read the story. We tried to read the story as many times as possible through the week and being quite lucky we have a child who loves stories. We have a children’s Bible and so was able to read to her from this, pictures and all. If your child doesn’t like sitting and listening to a story maybe get them to act it out as you go along or see if you can find a audio version for the car. After reading the story we began to make a whale. For this we got a plastic bottle (ours ending up being a 2 ltr one but you could use a smaller one which probably would have been easier for smaller hands). We then proceeded to “feed the whale”; which consisted of my little one stuffing things I had found in my craft box, such as beads, pom-poms etc. into the “whale’s mouth”. As we made it I talked to her about how Jonah was eaten by the whale but we also talked about the environment and the damage we are doing to our planet as we “fed” our whale, non-whale food. Once the whale was full, we screwed the lid on tight and set to work on a tail, fins and making him look pretty. We added stickers and googly eyes as finishing touches. I then filled him water and a touch of red food colouring, to represent his insides. Now I have to say he wasn’t the pretties work of art but we had fun making him. That was just one way we engaged with the story throughout the week. Some of the activities were normal games we play in the week, such as hide and seek, to represent Jonah hiding from God and we played chase to represent Jonah running away from God. We were very lucky this week with the weather and so the paddling pool came out and we stood in the cool (what I would describe as freezing) water and I talked about this is how it might have felt to Jonah. We also did some water play in the bath. We used some toys we already had to retell the story. We actually have a toy that is a boat with a man, who has now become Jonah, and the toy has a whale head to attach on top of all of it. This made it very easy to retell the story but you can be more creative with whatever you have to hand. This was all supplemented with listening to songs on YouTube about Jonah and the Whale, colouring pages printed off the internet and us eating fish for tea one night. In whatever little ways we could introduce the story we did, often using the things we already do so that it was at her level. I hope this has given you some ideas on how to engage your little one in the story of Jonah and the Whale. If you have liked this or have any comments or ideas I would love to hear them. Next week I will be talking about our week of Noah and the flood so keep your eyes out.